My love affair with marshmallow fondant started a couple of years ago. My daughter’s second birthday to be exact. While walking did not take place until around 14-15 months, my daughter was speaking really early. Well before walking age, and because of this we have always found her vocabulary to be crisp and clear. So when I asked her some months in advance of her second birthday what she wanted her cake theme to be, she had no problems saying “Beauty and the Beast.” I was ecstatic because it is one of my favourite Disney films and now I had the chance to portray it in cake form. But then that sinking feeling hit. How was I going to complete such a task given my very limited cake skills and no previous experience in fondant? First step, researching fondant! Now, let me tell you, how to make regular fondant is quite a bit different than how to make marshmallow fondant. It was probably my biggest deciding factor when I chose which type of fondant I would use. Still to this day I have never made regular fondant, and I don’t really see it any time soon as we don’t care for the taste at all here. Heck, I have never actually worked with regular fondant! I am in the same boat as others, the taste is nothing special and I would rather work with buttercream. But there are those times, like my daughter’s second birthday, where fondant had to come into play. Thankfully, marshmallow fondant turned out to be easy to make and easy to work with! Seriously, just like play dough! I won’t lie, I kept my cake design simple the first time I used marshmallow fondant, and also the second and third time I used it. I need to get a feel for it, but have also read that marshmallow fondant is not ideal for 3D shapes… Modeling chocolate is an alternative to both types of fondant and something I look forward to trying in the future. For now though, let’s talk about how to make marshmallow fondant! Tools: a stand mixer (for one option) or a frying pan for the other. A spatula helps in both cases. Create a double boiler by adding an inch of water to a small saucepan and placing it over medium-low heat. When the water is just at a simmer (but nothing crazy) place the bowl of your stand mixer on top of the pan and add the marshmallows and water. Stir occasionally until the marshmallows have melted into a smooth paste. Add food colouring now if you are making a large batch of one colour. Otherwise, leave as is. 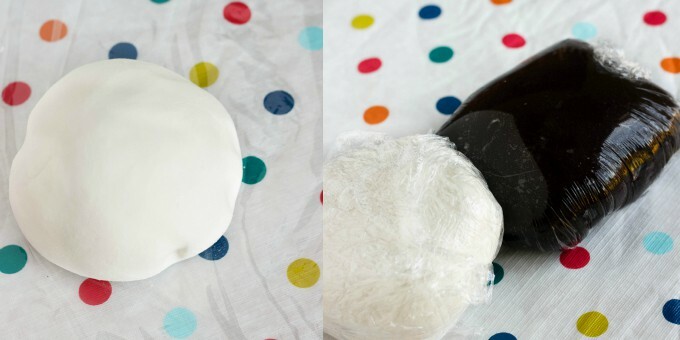 For both methods, wrap the marshmallow fondant in plastic wrap (smaller batches are better.) I keep mine on the countertop but you can also place it in the fridge. When ready to work with, dust surface with some confectioners' sugar and knead dough to make pliable. If dough is really tough, microwave in SMALL increments, nothing more than 5 seconds max. Between the two methods, I really prefer getting greasy and mixing the marshmallow in by hand. It saves the hardship on your stand mixer, and it just seems more fun! With your stand mixer, I definitely recommend half batches as not to put too much strain on the machine (the fondant does get pretty stiff.) Everything is trial and error, but essentially if you are finding your mixture getting really stiff, stop adding sugar, and if you think you have gone too far, add some more water. I never use all 2 lbs of sugar, but that is just my environment. When I go to roll out the fondant, I try not to knead more confectioners’ sugar into the fondant because that will only make it stiffer. I do, however, sprinkle my surface with a bit of confectioners’ sugar to prevent any fondant from sticking when I use the rolling pin. Pick up the fondant often to rotate so you are not left in tears trying to remove it from your counter! Secondly, when it comes to adding food colouring, you are left with two options. If you need a large batch of one colour, add the food colouring into the melted marshmallows before adding the sugar. It will mix in really well. If you need small batches, well, you are mixing in by hand and that may take some time. As you can see from the above photos, to make deep colours such as black, you may have to work in some cocoa powder. I have not perfected the chocolate fondant yet (it was a bit elephant-skin-like in texture but still worked!) but I plan to keep working on it. Also, like buttercream, the colours will deepen as they sit. I do not sit my batches overnight in the fridge. Room temperature was fine and personally, easier to work with. Marshmallow fondant does not expire until the date on the package of your marshmallows (which is usually a good year or two!) If you find the marshmallow fondant a bit stiff when trying to work with it, place it in the microwave in small increments. I accidentally went too long with my black fondant and it resulted in a sticky mess… Do not go over 5 second intervals! Like I said, I have not worked much with marshmallow fondant but it is fun! Personally, buttercream is my favourite method and doesn’t stress me out as much. 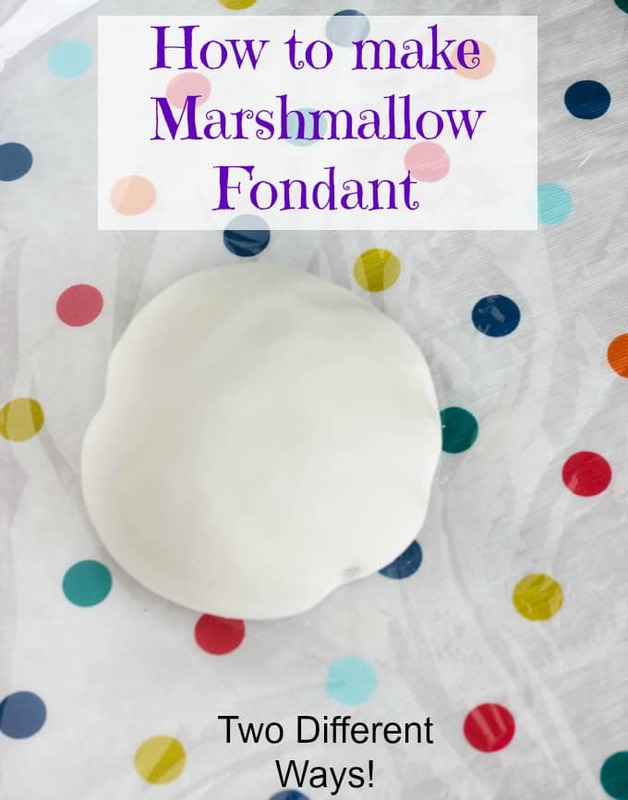 But for those occasions where buttercream will not do, give this tutorial on how to make marshmallow fondant a try because you will find yourself adoring marshmallow fondant! This fondant sounds really good, I would love to try it! So much better flavour with marshmallow fondant! I've never made fondant and have never really knew how easy it is. 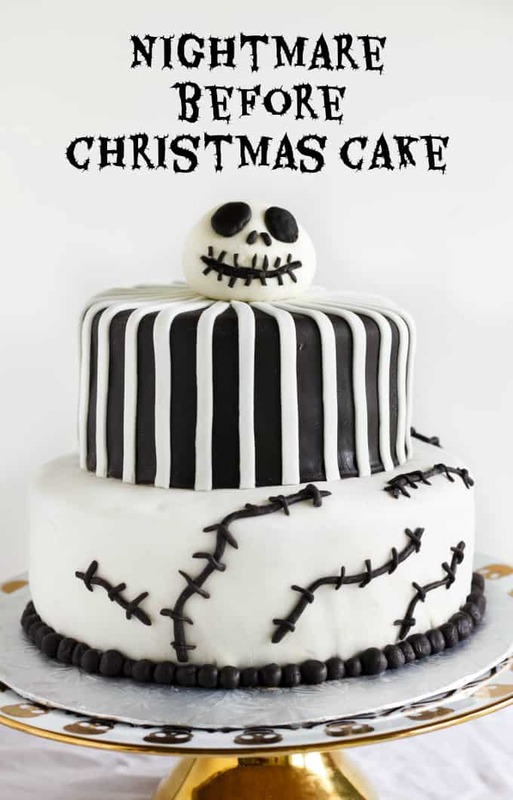 I love the look of the cakes especially the ghost one. I've never made marshmallow fondant but now I want to! I have never made fondant from scratch so I am delighted too see this wonderful recipe of yours! Love that you added samples of where you used it - your cakes look amazing! Thanks for sharing and pinned for future reference! Cannot have a tutorial without some examples of finished products ;) Thanks so much! I've never even tried using fondant because of the taste of it but this is perfect! Can't wait to try it! I love the gum reference! It totally does! Cakes do really look nice with fondant (especially simple, clean designs) but taste is the most important factor for me. What a fantastic tutorial to make it far less intimidating to try at home. Also, that cake is absolutely fabulous! I've probably been living under a rock but I've never heard of marshmallow fondant - and it sounds amazing!! I love this tutorial on how to make it and it looks simply gorgeous on your cakes, wow! I don't know why but years ago i started looking into how to make fondant. For some reason I was really interested into making cakes this way, I found that marshmallow is definitely the way to go if you want it to be somewhat edible. Thanks for the tips! I agree, Derek. I prefer working with buttercream, but fondant can really make a nice cake design. It is just the matter of taste and thankfully marshmallow fondant actually tastes good. This looks so easy!!! I love indulging my kids in fun birthday cakes and I just tried using fondant a few months ago - for about a half second I thought about making my own!! But this looks like I could do it! Such an interesting post! I agree with you that regular fondant just isn't really anything special in terms of taste. It just doesn't add anything to a cake, other than artistic possibilities when you're decorating - so this marshmallow fondant is a great idea all around! It is true. I would rather have a cake that tastes good as opposed to looking good. But at least with marshmallow fondant, we have the chance of both! Hi, I was just wondering if you store your fondant for a long period of time, where do you store it? In the fridge or pantry?